Home Orwell, George A Patriot after All 1940-194. The Complete Works. Volume 12. A Patriot after All 1940-194. The Complete Works. Volume 12. For the twenty-month period of this volume, there are reproduced 123 book, 38 theatre, and 43 film reviews. INSIDE THE WHALE, Orwell's first collection of essays, and THE LION AND THE UNICORN: SOCIALISM AND THE ENGLISH GENIUS are reprinted here. Later in that year he gave a series of broadcasts on literary criticism, the texts of which are reproduced. Throughout this period Orwell kept a wartime diary; its entries are here printed chronologically with his reviews, essays, and letters and it is here that Orwell makes the first reference to his wish to live on a Hebridean island. It was in 1941 that Orwell began his series of 'London Letters' for PARTISAN REVIEW. The volume also includes Orwell's lecture notes for instructing members of his Home Guard platoon. 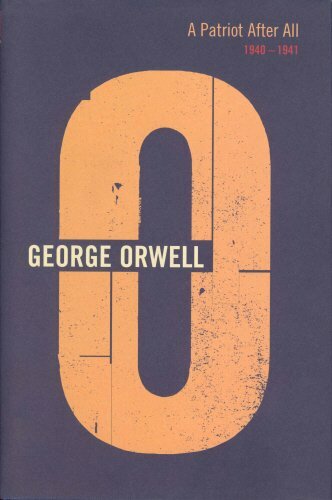 Volume 12 from THE COMPLETE WORKS OF GEORGE ORWELL, available separately for the first time.